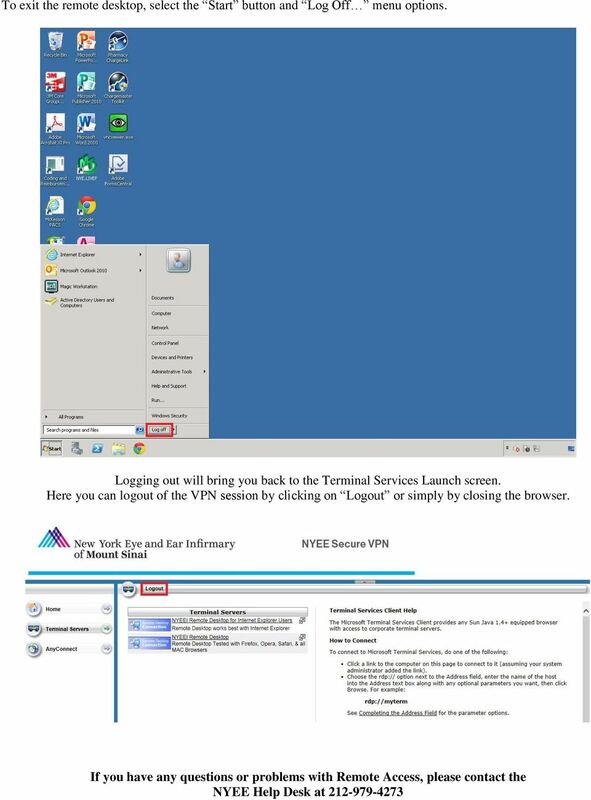 Download "Remote Access Using The New York Eye & Ear Infirmary of Mount Sinai Secure Web VPN"
4 4) In Compatibility View Settings, make sure to add nyee.edu to Websites you ve added to Compatibility View. After the site is added, you can close the window by pressing the Close button REMOTE ACCESS After the above settings have been configured, you may access the VPN site by typing into your browser. All software that is needed to access the VPN site will be downloaded from the site. 6 Enter your VPN username, password & select the proper group that you belong to. Select the OK button when finished. The NYEEI VPN Website will load. Select Terminal Servers from the options on the left of the screen. There are two links presented here. The first link is for Internet Explorer users. The second link is for users of other browsers. Please select the appropriate link for your browser. 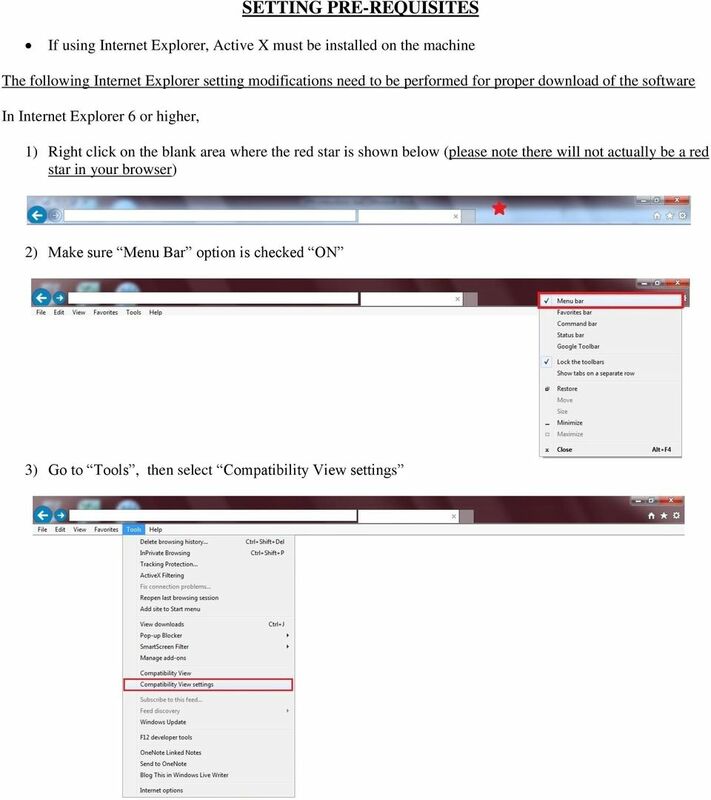 7 If you are using Internet Explorer, you may see a warning before a connection is made to the remote computer. Please click on the Connect button at the bottom of the box. 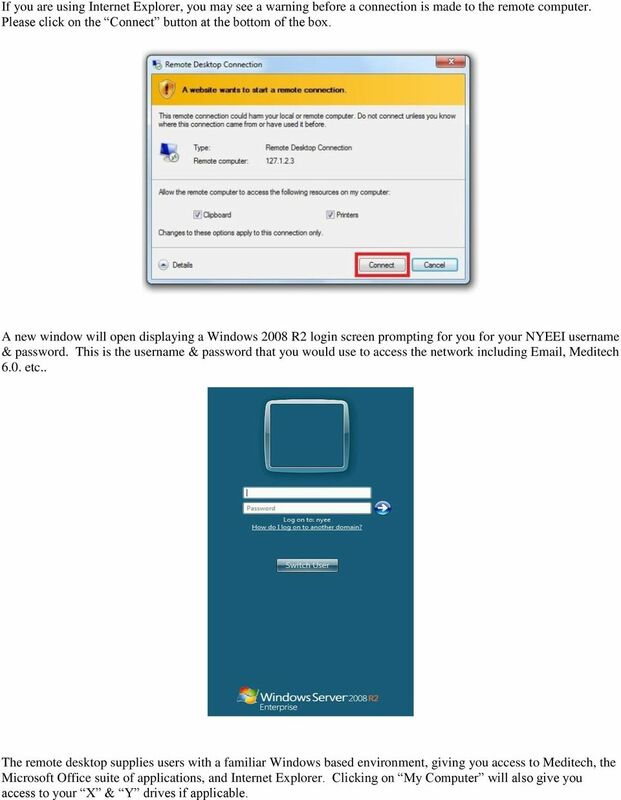 A new window will open displaying a Windows 2008 R2 login screen prompting for you for your NYEEI username & password. This is the username & password that you would use to access the network including , Meditech 6.0. etc.. The remote desktop supplies users with a familiar Windows based environment, giving you access to Meditech, the Microsoft Office suite of applications, and Internet Explorer. Clicking on My Computer will also give you access to your X & Y drives if applicable. How to use SURA in three simple steps: Most of SURA s functionality can be accessed through these three steps. 1) Download SURA to your computer Go to the SU Downloads page to obtain the SURA utility. 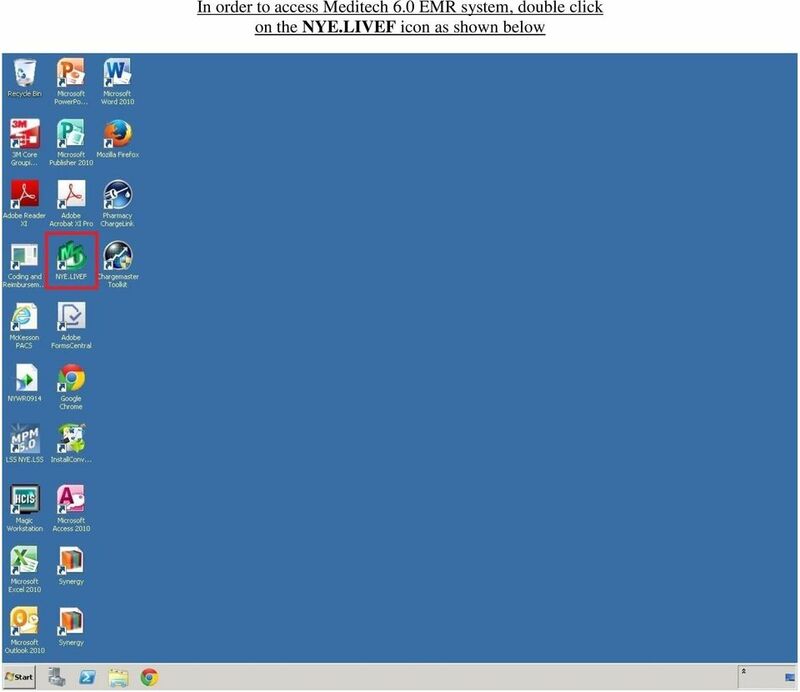 Setting Up Cisco AnyConnect VPN on a Windows 7 PC with Internet Explorer Open Internet Explorer and 1. Navigate to https://vpn.monmouth.edu. 2. Enter your Monmouth University username in the USERNAME field. Information to configure your Windows 7 office computer is described below. Macs are not directly compatible with Noetix. Setting up a Passport York & Central Account. Setting a Password for a Central Account Step by Step Instructions. The following instructions will allow you to access your company network remotely, via your Internet Explorer web browser. 1. Launch Internet Explorer and choose Internet Options from the Tools menu. 2. SSL VPN Service. 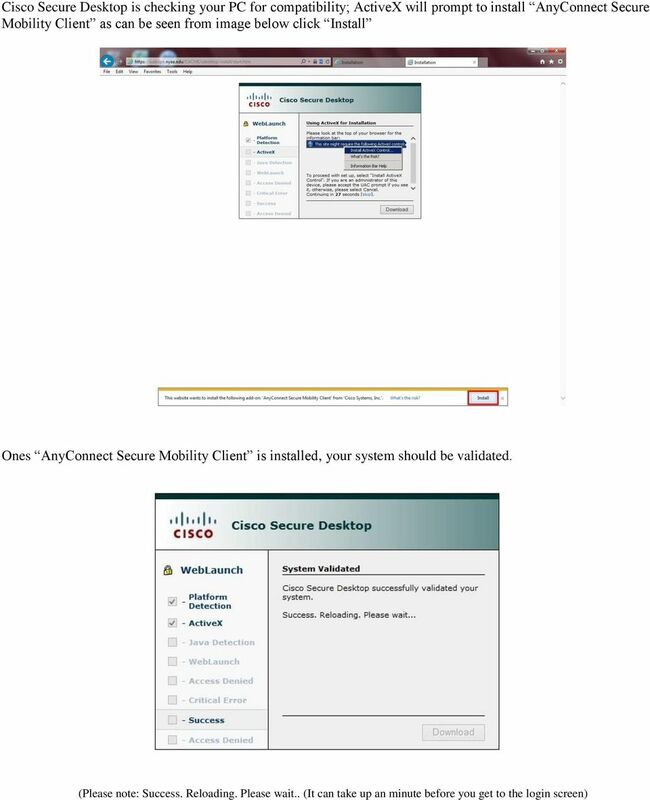 Once you have installed the AnyConnect Secure Mobility Client, this document is available by clicking on the Help icon on the client. mystanwell.com Installing Citrix Client Software Information and Business Systems Doc No: 020/12 Revision No: Revision Date: Page: 1 of 16 Contents Overview... 3 1. Microsoft Internet Explorer... 3 2. Note: This documentation was written using the Samsung Galaxy S5 and Android version 5.0. Configuration may be slightly different. How do I Install and Configure MS Remote Desktop for the Haas Terminal Server on my Mac? 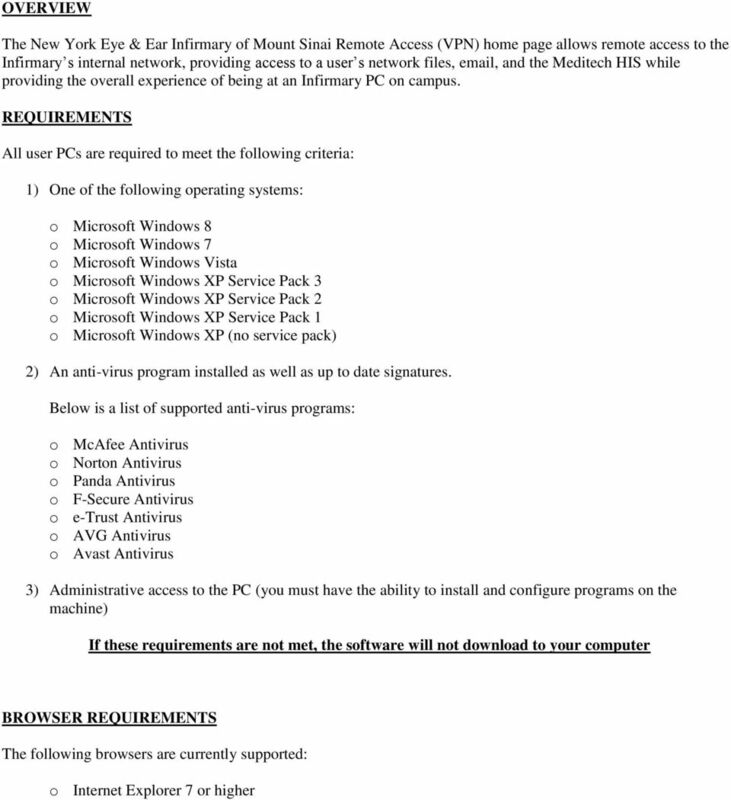 Remote Access Enhancements Citrix/Epic Set-up Instructions Provided By: Akron Children s IT Department Date: 7/11/2012 Version: v6 2012 Children s Hospital Medical Center of Akron Table of Contents 1. MiraCosta College now offers two ways to access your student virtual desktop. 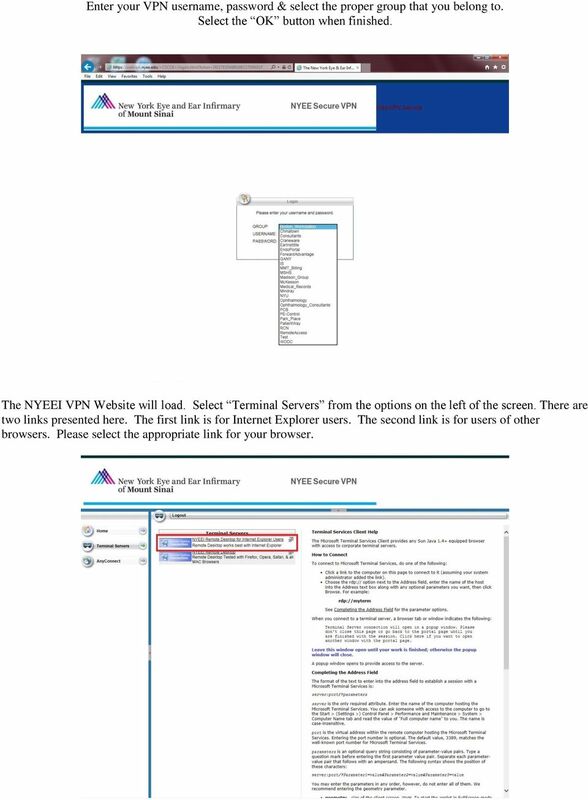 VPN: Virtual Private Network Setup Instructions Virtual Private Network (VPN): For e-journals and web-based databases, plus applications like EndNote's Online Search (formerly "Connect") and business systems.